It’s 40 years since President Marcos imposed martial law in the Philippines with a televised martial law speech to the nation. That martial law speech marked the beginning of 14 years of military repression that only finished with the toppling of President Ferdinand Marcos in a 1986 people power revolt. The Marcos speech, broadcast some two days after the imposition of martial law, comes from the archives of ABS-CBN television. That, of course, is the country’s leading private broadcaster. A broadcaster that came under the absolute control of the regime. 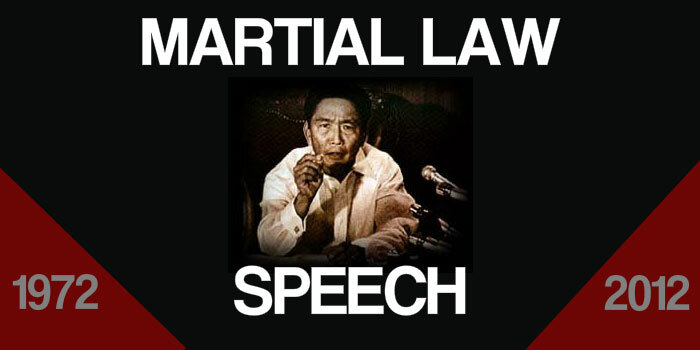 The martial law speech is released by the Government to mark the 40th anniversary. For many in the country there’s not much understanding let alone recollection of those dark days. The Government hopes that the speech will do much to explain. In addition to the speech the Government has also released diaries written by Ferdinand Marcos. These are the diaries in which the President explained his thinking behind the declaration. And yes, there was some thinking. Mr Marcos’s speech is given in English and he appears to be relaxed…all things considered. It’s a halting performance read from an autocue. But, despite the autocue, he still manages to stumble and hesitate with his speech. Perhaps that reflects the mood of the time. Confused and halting. And, perhaps, no time for autocue practice. His televised martial law speech is a remarkable piece of history. Not least since it reflects some remarkable changes that have occurred in the intervening 40 years. 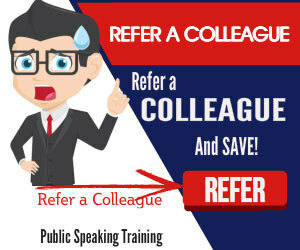 When you want your next speech to be something other than confused and halting you can always ask for some help. 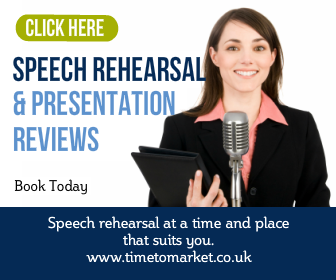 A public speaking skills refresher can give you the skills and confidence that you need for your next speech. You can choose a coaching session at your place of work, or one of more than 40 training centres. Please don’t hesitate to enquire further.